Playa del Rey, California, U.S.
William Churchill de Mille (July 25, 1878 – March 5, 1955) was an American screenwriter and film director from the silent movie era through the early 1930s. He was also a noted playwright prior to moving into film. Once he was established in film he specialized in adapting Broadway plays into silent films. De Mille was born in Washington, North Carolina, to Henry Churchill de Mille (1853–1893), an Episcopal lay minister and playwright from North Carolina, and Matilda Beatrice Samuel (1853–1923), who was born to a Sephardic Jewish family in England but converted to her husband's faith. He was the elder brother of the versatile Cecil B. DeMille, who altered the capitalization of his last name when he went to Hollywood, claiming that it fit better on marquees. (William continued to be known as "de Mille", and his daughter Agnes also chose "de Mille".) William received a bachelor's degree from Columbia University followed by graduate studies at the Academy of Dramatic Arts, at schools in Germany, and a second stint at Columbia studying under Brander Matthews. In 1903 he married Anna Angela George, the daughter of notable economist Henry George. Anna bore William two children, Agnes de Mille – named after a younger sister who died in childhood – who became a noted choreographer and Peggy George, who became an actress. Professionally, their life was stable. In 1905 he became successful Broadway playwright, following its development in 1904. 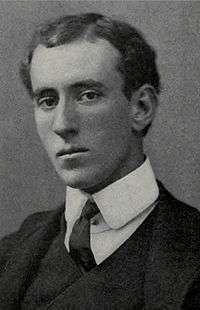 William had nine plays he wrote or co-wrote – one of them with Cecil – produced on Broadway between 1905 and 1913, and another two productions mounted in 1929 and 1936, the latter of which he produced and directed as well. His first play, Strongheart was eventually released as a movie by his brother as Braveheart (1925 film). Two of William's works, The Warrens of Virginia (1907) and The Woman (1911) were produced by the flamboyant impresario David Belasco. The former featured future film star Mary Pickford and Cecil, both struggling actors playing minor roles. He wrote a number of vaudeville sketches including In 1999, Food, Poor Old Jim, The Squealer, The Martyrs, and The Deceivers. Cecil eventually moved to Hollywood, and William followed. 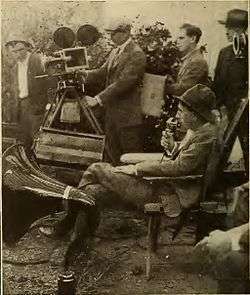 His directorial debut was The Only Son (1914). Though not as famous today as Cecil, he was one of the silent film era's most respected directors. And though most of his silents have been lost, those that remain, for instance 1921's Miss Lulu Bett show a delicate touch in the telling of an impoverished spinster's misfortunes in a small town. One of the writers involved in the film was Clara Beranger, whom deMille would marry in 1929. At about this time, William also met Lorna Moon, an established New York author from Scotland, who also wrote sophisticated Hollywood comedies. In 1998, Richard de Mille, who had grown up in Cecil's household, revealed in the memoir My Secret Mother, Lorna Moon that William C. deMille was his father and screenwriter Moon his biological mother. Richard had been adopted by Cecil B. and Constance DeMille to avoid a family scandal. Apparently, William's wife never knew the truth of Richard's birth. In addition to his filmmaking fame, William deMille was an early member of the Academy of Motion Picture Arts and Sciences. (His brother was a founding member.) With Douglas Fairbanks, he co-hosted the 1st Academy Awards in 1929, and he solely hosted the 2nd Academy Awards the following year. He also served as President of the Academy briefly. DeMille helped found the USC Film School in 1929, and after his East Coast theatrical career failed to revive in the early 1930s, he was active on the faculty there until his death. DeMille died in 1955 while living in Playa del Rey, California, and was interred in the Hollywood Forever Cemetery. ↑ Thomas S. Hischak (6 May 2004). The Oxford Companion to American Theatre. Oxford University Press. p. 171. ISBN 978-0-19-516986-7. ↑ Michael Schwartz (2007). A Matter for Experts: Broadway 1900--1920 and the Rise of the Professional Managerial Class. ProQuest. pp. 107–114. ISBN 978-0-549-45115-0. ↑ "The new play…". Chicago Daily Tribune. Chicago, Illinois. 2 October 1904. p. 1. Retrieved August 19, 2014. Wikimedia Commons has media related to William C. deMille.